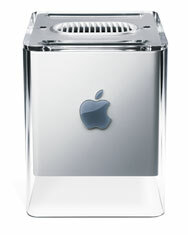 OK, so, from a commercial standpoint, the Power Mac G4 Cube flopped. But was it a flop from a design standpoint? After all, only five years after the Cube’s release—and four years after it was ignominiously yanked from the product line—Apple unveiled the Mac mini. That desktop carried on some of the design philosophies of the Cube, becoming a well-respected success. The mini inherited several key design elements from the G4 Cube—the Cube’s small size, its general lack of expandability, and its quietness are chief among them. 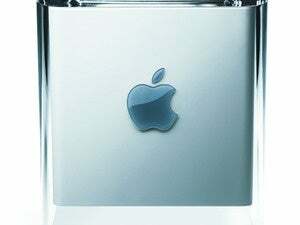 But for all their similarities, the Mac mini differed from its predecessor where it counted most with consumers: price. The introductory, low-end Mac Mini cost a mere $499 upon its launch in 2005, and that made the investment necessary to get a Mac lower than ever before. People were also willing to sacrifice the lack of upgradability for such a low price, since it made the Mac mini seem more like a replaceable commodity than a unique art object. Another factor in the Mini’s success was its physical appearance. It was smaller than the Cube and less visually challenging from a design standpoint, which helped the mini appeal to a broad audience, including first-time Mac users. A difference in software helped as well. By the time the mini arrived on the scene, OS X was a robust and popular OS drawing new users to the Mac platform, and Apple positioned the mini in a perfect sweet-spot to receive them. It also helped that, by 2005, the Apple brand was hotter than ever thanks to the mainstream popularity of the iPod—a phenomenon known as the iPod halo effect. The Cube suffered from an unfortunate case cord clutter that marred the machines’s otherwise beautiful, otherworldly appearance. The Mac mini avoided that with Bluetooth for wireless peripherals and wireless networking support (near-ubiquitous in 2005, unlike in 2000). External upgradability was also an issue in the Cube’s time, when the necessity for expansion through USB and Firewire was considered more of a crutch than an asset of a small system. By 2005, the USB peripheral market was booming, and the Mac mini took advantage of the plethora of low-cost USB hard drives on the market. Soon after the mini’s release, peripheral makers shipped mini-sized hard drives designed to stack with Apple’s compact desktop for the perfect look. If that doesn’t illustrate a change in the acceptance of USB expansion, I don’t know what does. In the days of the G4 Cube, Apple depended on electronics retailers like CompUSA and Circuit City to sell its computers to a wary, PC-centric public. There was no guarantee that the salesmen in charge of the Mac section wouldn’t steer customers to the more common PC clones in other parts of the store. Apple remedied that in 2001 when it opened its own retail stores that eventually put a firm Apple footprint in most major metropolitan areas of the US. Also, by the Mac mini’s time in 2005, online ordering through the Apple Store was much more common, allowing Apple to sell directly to the customer online. Looking back today, it seems that the Cube was simply ahead of its time. It was an ingenious and striking design that missed the mark by about five years—and $1,000. But don’t tell that to the loyal Cube owners out there, from whom you couldn’t pry their Cubes from their cold, dead hands. The G4 Cube’s enduring appeal from Mac fans is a testament to its unique and visionary design that has yet to be duplicated—even in the Mac mini—to this day. Can use the MacBook Air’s Optical Drive and USB Ethernet Adaptor.